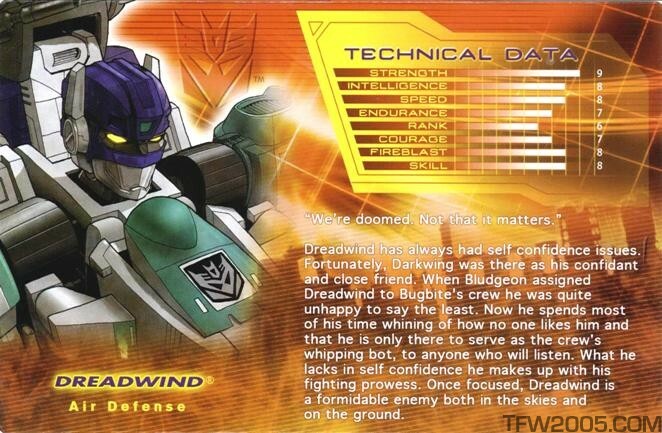 Dreadwind has always had self confidence issues. 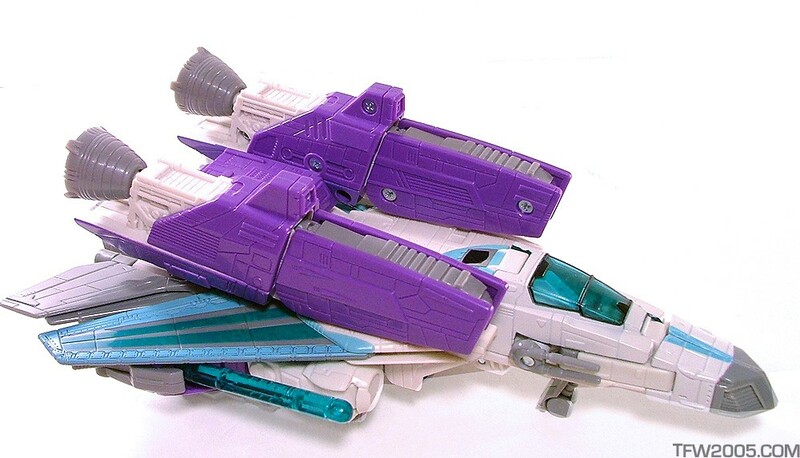 Fortunately, Darkwing was there as his confidant and close friend. When Bludgeon assigned Dreadwind to Bugbite's crew he was unhappy to say the least. Now he spends most of his time whining of how no one likes him and that he is only there to serve as the crew's whipping bot, to anyone who will listen. What he lacks in self confidence he makes up with his fighting prowess. 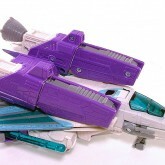 Once focused, Dreadwind is a formidable enemy both in the skies and on the ground. Available both boxed with the other exclusives, and loose in a plastic bag. 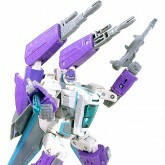 Available as a part of the Botcon 2007 Convention exclusive set, Games of Deception. 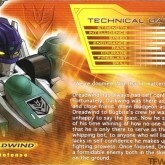 Dreadwind featured a remolded head to more closely resemble his original toy from Generation 1. 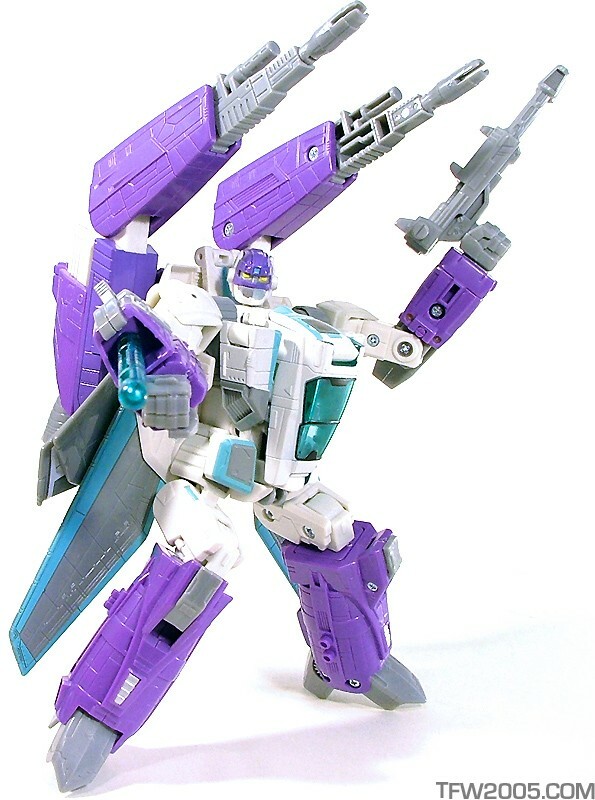 Dreadwind was a member of Bugbite's crew of Decepticons. He retains his same depression from the original comics, made worse by the unfortunate fate of his old Powermaster partner.